Will you attend 2012 London? The wonderful news that London will host the 2012 Olympic and Paralympic Games came about in no small part because of the wider vision that the bid team put across. This includes the determination that the Games will have an appreciable and long-lasting effect on the amount of exercise that the general public takes. In order to try to build up a concrete picture of the effect the Olympics might have on exercise levels, Leisure-net’s latest Health and Fitness Omnibus Survey (HAFOS.4) included a series of questions designed to measure the public’s attitudes. 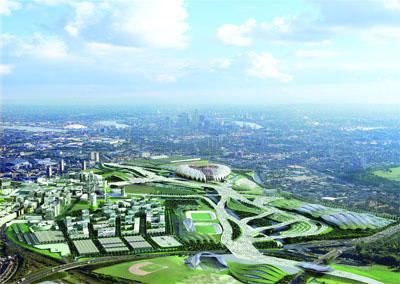 At the time we delivered our latest HAFOS surveys, the bid for London to host the 2012 Games was nearing its climax. The intention was to establish a baseline for further research and analysis and to see if there’s any evidence of equivalent legacy effects from previous Games. We approached, therefore, sample groups in Manchester, host city for the Commonwealth Games in 2002. The legacy effects of major sporting events will arguably include positive effects on participation, especially if this is coupled with campaigns that reinforce awareness and increase motivation and initiatives that directly promote participation. If the industry can react properly to the results, then the increase in participation will be sustainable, representing significant contributions to public policy, especially around the health agenda. As part of the total sample of nearly 1,000, we asked questions of about 500 people at various locations in Hackney, Newham and Greenwich. In addition to the core HAFOS questions about awareness, behaviour and barriers, we asked specific questions about the 2012 bid and the implications if it were to be successful. Nearly half of those we spoke to in Newham intend to go to the Games but this drops to three out of 10 in Greenwich. Few in Manchester think that they’ll attend. Most people don’t think they’ll be involved as volunteers, especially the older groups, but the experience of previous Games indicates that older people have a great deal to offer, so a campaign is needed here to generate interest. In London, not surprisingly, more people are interested in volunteering; this is most likely in Newham, at 22 per cent. More than half the people questioned think the Games will prompt them to think about doing more physical activity. About 20 per cent of the total HAFOS sample think they definitely do enough exercise now (many are wrong! ), so the Games could potentially encourage as many as 80 per cent of those who currently don’t do enough to do more. Even if only some of this is achieved, there will be a very significant legacy effect. We asked if people would do more exercise if the Games go ahead. The results show the effect would be very local, with only four per cent in Sheffield and Manchester saying the 2012 Games would even make them think about exercising more, while 39 per cent in Newham and 32 per cent in Hackney said the bid had already made them consider whether they should do more. We asked a sample of 247 people in Manchester about the 2002 Games and the vast majority said they believe Manchester benefited from hosting the Commonwealth Games. Only in the 45 to 54 age group do more than one in 10 think there was no benefit to Manchester. About a third of those asked said they had been involved with the Games, mainly as spectators. This fell sharply to about one in five of the over-45s. We also asked whether the fact that Manchester hosted the Games changed attitudes and behaviour in terms of exercise and we found quite a good indication for a legacy effect. Of the people inspired by the Games to do more, most of these not only did more but also carried it on. It seems the fact the Games took place resulted in an increase of about 10 per cent of people taking more exercise; this peaked at 20 per cent of people aged 16 to 24 (13 to 20 at the time of the Games). Still, two out of three people weren’t encouraged and there needs to be consideration about how the 2012 Games can improve this, particularly for women and older people. So, overall a good start for the case for the activity legacy. The Games have already had an impact that could be greatly reinforced when they take place and which could have a lasting effect. But it’s by no means conclusive and it’s clear there’s a lot more to be done if the true value of hosting the Games is to be realised in terms of promoting healthier lifestyles. What seems to come across from our sample is broad support and the signs of a burgeoning ‘2012 resolution’ to do more, but also a healthy scepticism about the exact nature of the Games. This is admittedly only a personal view arising from a feel for the research findings and from media coverage; but the Games could indeed be mainly about commercial interests and elitism. There will be massive sponsorship, corporate hospitality, e-Bay opportunism, jingoism and short-term political expediency. The big question will be whether this can and will be outweighed by community benefits and the principles of good old ‘sport for all’. If it’s just a question of seeing our heroes and heroines take gold, then this could happen anywhere in the world as long as it’s on prime time tv. 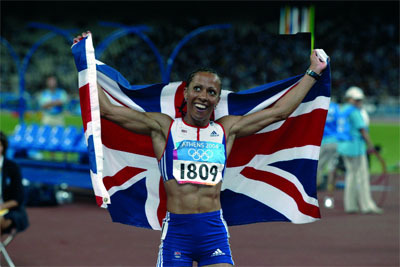 OK, there may be more medals because we’re playing at home, but this in itself won’t deliver the healthy living legacy. That will require the great and the good to address the issues that ordinary people clearly have, and they must show the public that these will be their Games. If not, the communities will have been let down and so will those of us who want to see the Games representing the epitome of the sports development ethos across the board. It's inevitable that the number of new projects coming to market will slow and we'll be focusing more on sweating our assets and optimising what we have to create value through innovation. 36 Burning question: How will the VisitBritain staff cuts affect tourism?